This guide walks you through how to install the Top 10 Apps for Firestick. In this all-inclusive App Pack for Firestick & Fire TV, I give you 10 Apps for Streaming TV & Movies, 1 Ad Blocker (“Blokada”), and 2 App Stores (Yalp and Aptoide TV). Install Droid Admin (aka FileLinked). Tip: I just made a brand new video on how to install Filelinked / Droid Admin using the DOWNLOADER app for Firestick (foolproof method!). Press the Center button on the Firestick remote (after you have an app selected). This will begin to download the app you selected. Now, repeat the Step above for ALL of the apps in the list. Then, go back to the TOP of the list of apps. Now press the center button when the app at the top of the list is “highlighted”. This will begin to install the app you chose. Wait for the Amazon Firestick to install your app. Then press “Done” (if you want to install more Top 10 apps for Firestick), or press “Open” to open the app you just installed. Repeat this process for all apps you want to install (within the 74607313 Droid Admin code). Also check out the Best Droid Admin codes for Firestick! After you enter the Code (74607313) into Filelinked, you see a list of apps. In the list of apps displayed by Filelinked / DroidAdmin, select an app in the list using the Center button of the Firestick remote. This will begin the download for whichever app you selected. When the app displays the “play” icon (to the right of the app name), the download is done. When the app is finished installing, press “Open” to launch the app. Go to https://kodifireTVstick.com to find more DroidAdmin (“FileLinked”) codes. Or check out my YouTube channel at https://youtube.com/KFireTVNewsOfficial. Terrarium TV is one of the best apps for streaming TV shows & movies! It has an intuitive user interface and is loved by millions of Firestick users. TVTap is a new app that lets you watch movies & TV. What is Yalp App Store? Yalp is an app that lets you install other apps. You can also update Firestick apps using Yalp. What is Aptoide TV app store? Aptoide TV is my favorite app stores for Firestick. Use Aptoide TV to install the latest version of the best third-party apps for Amazon Firestick & Fire TV. Blokada is an ad blocker. Many, many Firestick enthusiasts use Blokada to block ads displayed by apps like Terrarium TV. CKay TV is a streaming TV app that gives you access to streams throughout the world. Rebirth is a new streaming app that gives you access to “event” streams, such as Live Football streams and other sports events. Sports Angel for Firestick lets you watch sports streams to your heart’s content! Forja TV shows live TV channels from around the world. This app is focused on international streaming TV channels. 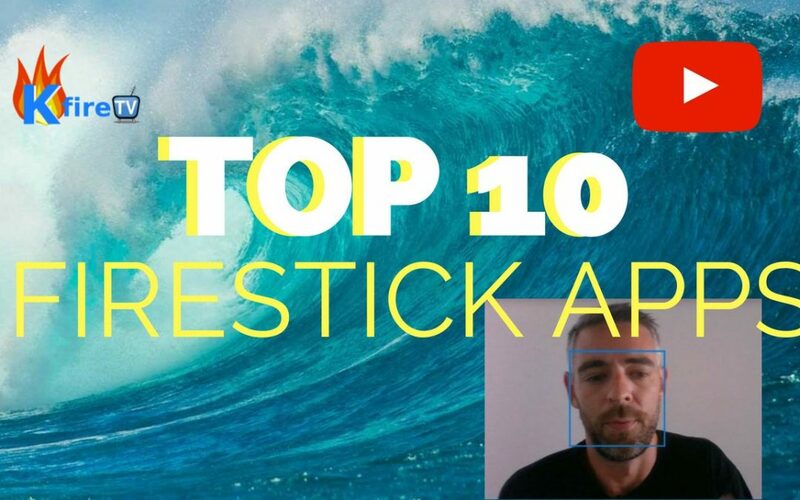 In this Top 10 apps for Firestick list & tutorial, my favorite apps are Terrarium TV and Aptoide TV. Terrarium TV is my overall favorite app for watching Movies (I’m a movie buff). And Aptoide TV (despite its name) is my favorite third-party app store for Amazon Firestick.